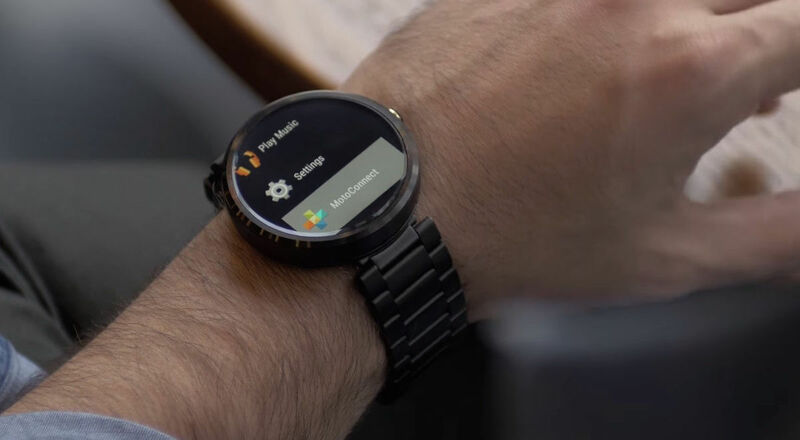 In the latest Android Wear update, Google added gesture controls - through flicks of the writs for scrolling - to the mix but Aria, a modular accessory that is soon to hit Kickstarter, takes things a step further. The clip on device allows you to configure, via a companion app, a range of hands gestures that equate to standard controls on your smartwatch - think scrolling, zooming, selecting, opening up the settings menu and so on; by flicking waving, clenching your fist and the like. Aria, which is being developed for both Pebble Time and Android Wear (as an actual consumer facing product for the former and a dev tool for the latter), clips on to your existing smartwatch band and doesn't actually need powering itself, for the Pebble Time. It connects to your wearable using Bluetooth Low Energy tech. The Android Wear dev edition, which will ship with a SDK, does have a little battery built in. That SDK also works with iOS apps, we're told, but there's no Apple Watch compatibility as of yet. It's a neat idea but we'd like to see it in practice before we fully sing its praises. After all, we've seen gesture controls for wearables in the past and, let's face it, they've been beyond useless. Aria will land on Kickstarter next month - the Pebble Time version will be $69 and it'll cost $169 for the Android Wear dev pack.